Chocolate Banana Flavored coffee is a wonderful treat anytime. Just think of milk chocolate smothered over fresh ripe bananas. Brew a pot and invite your neighbors over. 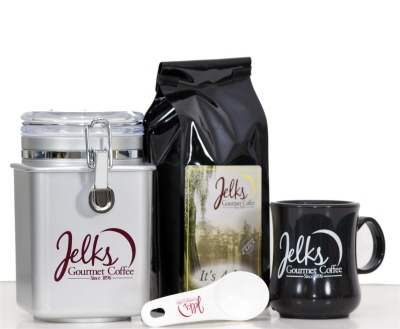 That is what you will tast with this wonderful Chocolate Banana flavored coffee from Jelks. Made with 100 percent arabica coffee beans. That is what you will tast with this wonderful Chocolate Banana flavored coffee from Jelks. Made with percent arabica coffee beans.